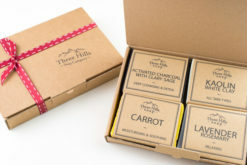 We offer a great selection of soap gift sets for Her or Him. 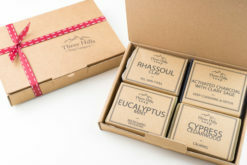 Handmade collection of soap bars for an oily and sensitive skin. 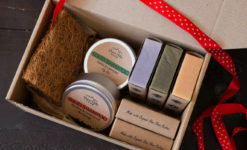 Or simply build your own four soap gift set and enjoy the pleasure of real soap. 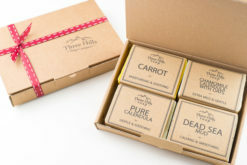 Feel the difference of nature’s best with Organic Shea Butter packed into a nourishing bar of soap.